Some of the counties biggest attractions are on the door step of the Hillview Guest House. Northampton, traditionally known for its shoe making and other leather related industries, has now developed into an important regional business centre for many of Britain's top companies, due largely to its unbeatable geographical location, (67 miles (108 km) north of London). Some of the counties biggest attractions are on the door step of Northampton's Bed and Breakfast. Northampton always has something to do what ever the weather, we have two main Cinemas in the town, the closest to the Hillview Guest House is Vue Cinema which is located the heart of the town centre in the Sol Central complex which is just a 15 minute walk and also offers great cuisine from all of Asia. 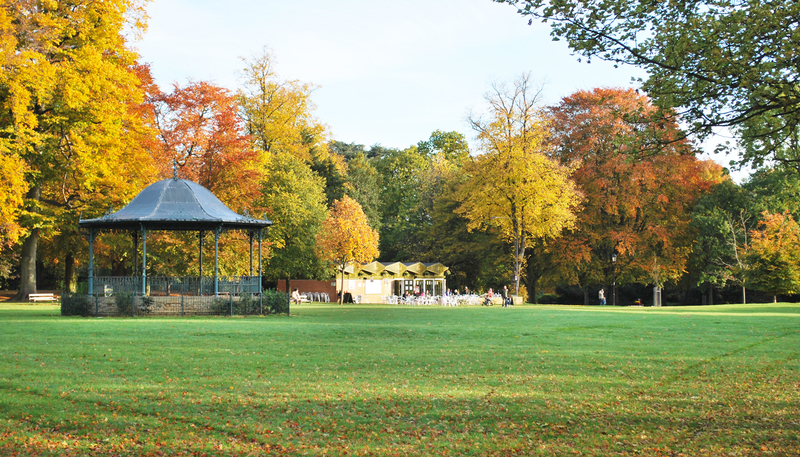 On the door step of the Hillview is the Abington Park, which is a great place to visit with all the family, the park is surrounded by a historic wall which provided the boundary to Wellingborough Road, Ardington Road, Christchurch Road and Abington Park Crescent. The Park has a lot to offer, you can go and visit the remains of a disused medieval village, the evidence is on the ground, you can see the lumps and bumps of where the house platforms once where. A lot of the Park has changed over the years more recently the council has invested a great deal in the children's play area which encompasses swings, slides and a mass of climbing areas. For the younger children the park has wide variety of species of ducks which can never have enough bread, so they are more than happy to be fed all day, just beware of the cheeky Seagulls. For the Slightly older children the park is home to the Abington Park Museum, the Museum was once home to William Shakespeare's granddaughter, Elizabeth Bernard née Elizabeth Hall, who was buried in 1670 in the adjacent late 12th century church of St Peter and St Paul. It now has displays about the social and military history of Northampton and Northamptonshire, but if that doesn't interest you the Architecture of the building will keep you busy. As well as visiting Northampton for pleasure, Northampton is a bustling business hub of the UK and is home to some of the fastest growing businesses of the midlands. Being centrally positioned in the uk and with it great transport links it's a strategic location for many businesses. 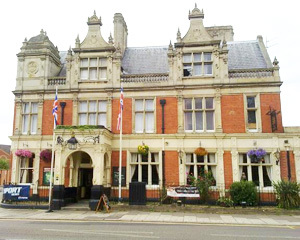 The Hillview Bed and Breakfast is well placed to offer accommodation for employees from the likes of Barclaycard, Carlsberg, The Northampton General Hospital, Dr Martens, Travis Perkins, Northampton Saints, Northampton County Cricket Club to name just a few. 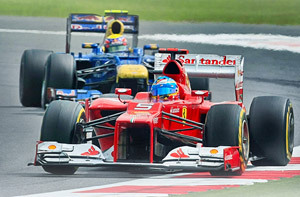 now has the Formula One British Grand Prix committed for the next 18 years and The Northampton Bed and Breakfast has great experience and reputation for offering accommodation at affordable prices for the British Grand Prix. The Formula One Grand Prix isn't the only event held at The Silverstone Race Track, they have now secured the rights to hold the Moto Grand Prix from 2010 on a five-year deal, this is of great excitement for the local bike enthusiasts as it had been over 15 years since the race was held at Silverstone and was moved to Donington park. If your not happy with just watching the races why not have ago yourself and see how quick you can get round the track with one of the many available Silverstone Track Days Experiences. is the pub that's mostly associated with Abington Park. Bands perform live in the park on most Sundays and you can hear them whilst enjoying a relaxing drink! It provides a good meeting place for those preparing to go into town as it is just a ten minute walk away on the outskirts. Located directly behind the cricket club, we have a good number of cricketers here, along with a very mixed clientele of all ages. are firmly in the Guinness premiership and are inviting travelling supporters with open arms, if you are looking for a fixture visit http://www.northamptonsaints.co.uk/rugby/match/index.php, Northampton's Bed and Breakfast is within close distance to Franklins gardens ( 2.5 miles) so we are perfectly positioned to make you trip more comfortable. home to the Spencer family since 1508 has been open to the public for over half a century, but it is only in recent years that this stately mansion and historic seat of the Spencer family has shot to fame as the childhood home and, sadly, the final resting place of Princess Diana. Althorp brings 500 years of history to life. The house has undergone major renovation work, over the centuries. Once the scene of courtly balls, political meetings and even secret marriages, each intriguing room in the house provides an inspirational backdrop for modern events – whether it's a banquet for two-hundred in the 115-foot Picture Gallery, a relaxed afternoon tea by the fire in the Library or a major board meeting in the regal surroundings of The Great Room. Northampton Bed and breakfast is only 7.5miles from Althorp House so placing us at a great location to offer accommodation for events held at Althorp House. is the main venue for arts and entertainment in Northampton. Recently the subject of a £15 million redevelopment project, the theatre offers two auditoria and Underground, a creativity centre that's home to the Youth Theatre and a wide range of workshops and projects for the local community. The Northampton Bed and breakfast is only 1.5miles away from the Royal & Derngate so is ideally placed to offer great affordable accommodation for that special evening planned at the theatre. is the one of Northampton's many music hubs, The Roadmender has played host to many Notable performances since its reopening including Idlewild, The Maccabees, Marillion, Kate Nash, Biffy Clyro, We Are Scientists, Little Boots the NME tour and many more. also known as the Steelbacks was founded in 1878 and became a First Class County in 1905. 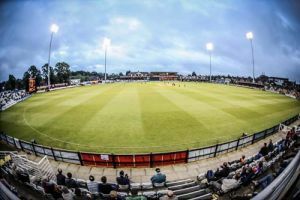 In there 132 year history they have seen many of the all-time greats play cricket for Northamptonshire at the County Ground, and continue to strive to bring a dynamic, professional and entertaining brand of cricket to those of all ages! The County Ground also plays hosts to many music and other sporting events including Sir Elton John playing there Saturday 25th June.